This summer wine is more than just the Rosé of the season. Every Provençal drop rewards your tenacity to pursue your dreams. Fearless Rosé is gorgeous with its luminous salmon tinted hue. Sit back and breathe in the aromas of orange blossoms, jasmine flowers, and strawberry fields; the same fields that the Beatles raved about. Across the palate, this delicious Rosé expresses ripe fraises des bois, mouthwatering acidity, and a fresh mineral finish. 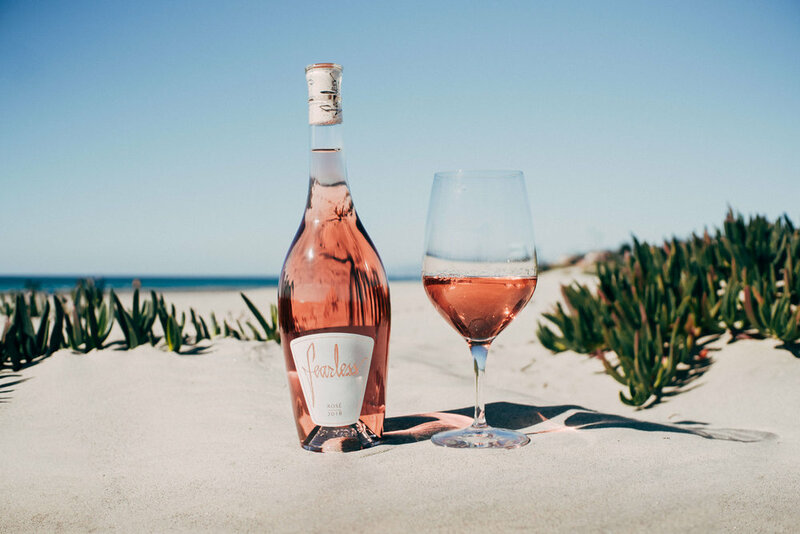 Crafted in a dry style, Fearless Rosé is equally amazing poolside as it is in the front row of a Beyoncé concert. Enjoy chilled with the ones you love! Marsanne is the new blanc. Its delicate style with French roots is like Chardonnay without the ego. Luxurious characteristics assemble an angelic golden hue with a stunning scent of citrus zest, stone fruits, and highlights of honeysuckle. A naturally bright acidity balanced by a mid-palate richness and mineral finish makes it an ideal summertime companion. This Marsanne pairs perfectly with rich dishes like seafood, cheese & charcuterie platters, or any dish with a little heat! Enjoy chilled with the ones you love! A wine set for a stage: this Grenache drifts off the glass with a perfume of rose petals married with ripe mountain berries sung as only Johnny & June would. 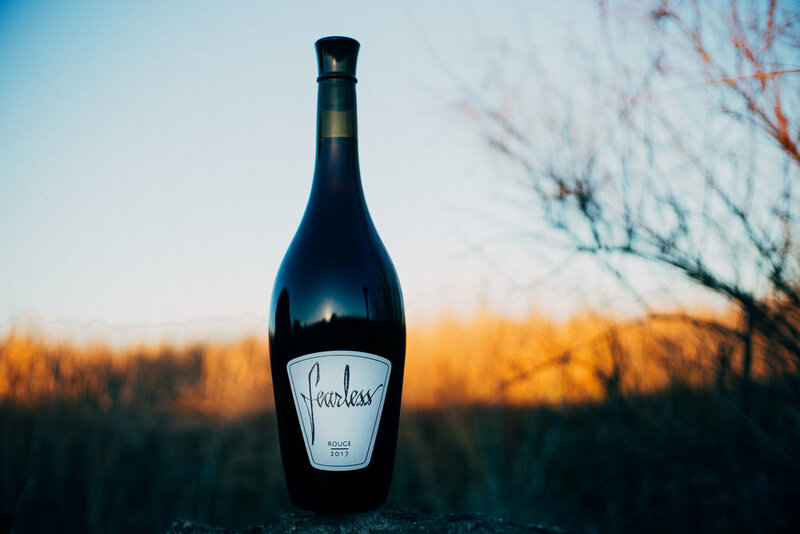 The gold-laced Amador foothills produce rough & tumble fruit much like a cowboy, with a handsome garnet color and structured tannins. Paired with the dancer, a cooler coastal Santa Barbara Grenache, this wine reveals a silky textured mouthfeel, delicate notes of rose hip and violets, and a gorgeous natural acidity on the palate. A true fairytale romance, the Dancer and the Cowboy are better together. Enjoy with the ones you love! 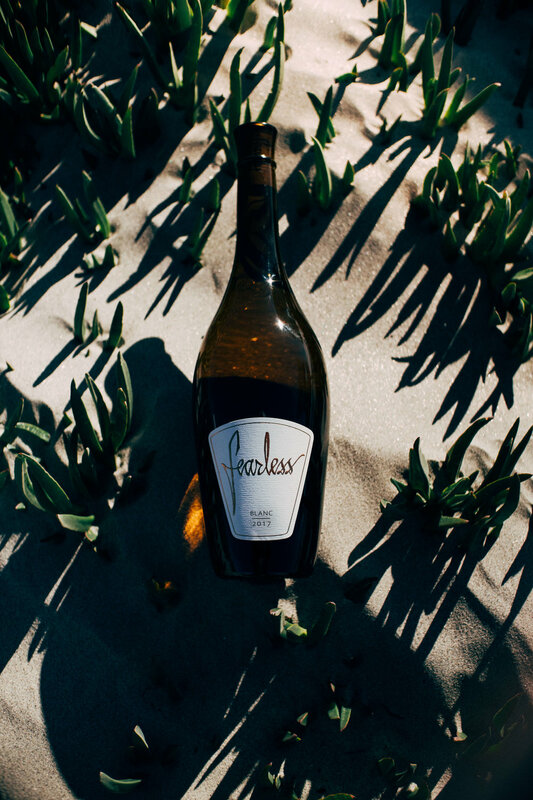 To be released Fall 2019… Sign up for a Fearless Allocation to reserve your wine!